On Saturday 16th July 2016, one of our community’s well known and kind-hearted members passed away. Kegham Trayan departed unexpectedly leaving his family and friends in shock and disbelief from his sudden demise. Kegham Trayan was a model of congeniality and friendliness with everyone around. He passed away at the age of 64 after slow deteriorating health problems from which he suffered in silence and in all reserve and reticence. 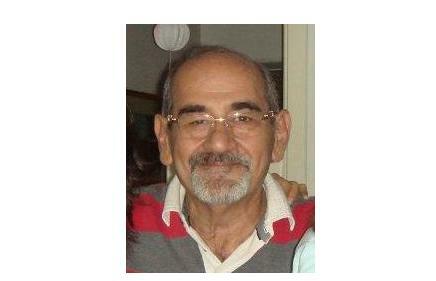 Kegham Trayan was a board member of AGBU Cairo in the late eighties and became its treasurer from 1989 to 1991. The funeral mass was held on Monday 18th July at the All Saints Armenian Church and cemetery in Heliopolis in the midst of a massive presence of the Egyptian Armenian Community. AGBU Cairo’s board expresses its sincere condolences to the family and relatives of late Kegham for their great loss. His pleasant company and his joyful smile will greatly be missed.